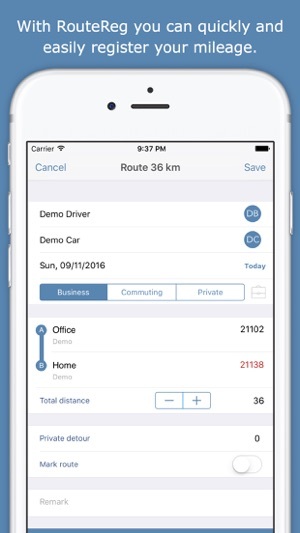 RouteRegistration is the ideal app for tracking mileage for reimbursement or tax deduction. By using Hotspot Detection you are notified when you have arrived at a destination. 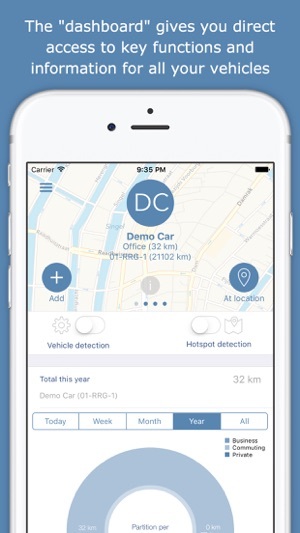 By using a supported Bluetooth Smart tag, RouteRegistration Car Detection will detect your car automatically and will notify when you leave your car. So you'll never forget to register your mileage! Because RouteRegistration calculates the mileage from previously registered routes or the ideal calculated route, registering your mileage is super easy. Combining Hotspot Detection, Car Detection and automatically calculation of the mileage, it's possible to register a ride with one touch, just press 'Save'! 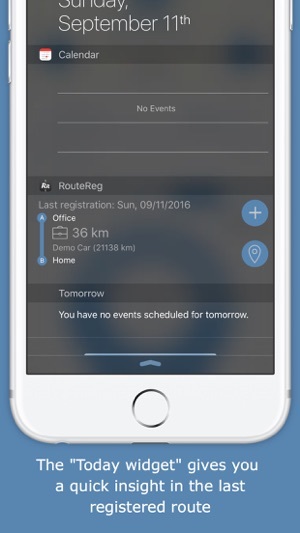 With RouteRegistration it is also possible to manage the mileage registration on multiple iOS devices. The Cloud Sync functionality syncs all data super fast to the cloud. 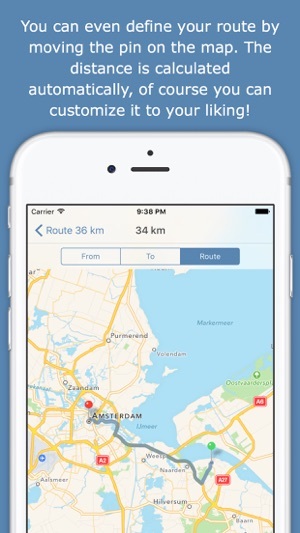 This creates a backup of the mileage registration in the Cloud and on all your iOS devices running RouteRegistration. There are no additional fees for using Cloud Sync. If you don't want to use Cloud Sync, that's no problem, you can also use RouteRegistration with local storage only. 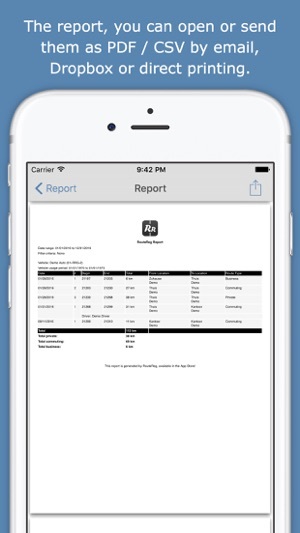 RouteRegistration can easily generate a report containing all important information about your mileage registration. This report allows you to filter by date and search criteria. You can choose from various export possibilities; Send by e-mail, export to Dropbox or print to an AirPrint-enabled printer. In both email and Dropbox exports an PDF and an CSV file are included that you can use in Excel. Also all export files are stored on the iOS device itself, these files can easily be transfer from iTunes to your computer. RouteRegistration can use a supported Bluetooth Smart tag to identify your car. By placing a Bluetooth Smart tag in your car, RouteRegistration can detect when you are in your car and when you leave your car. When you leave your car RouteRegistration will notify you, so the mileage can be easily registered! * Continued use of GPS running in the background can dramatically decrease battery life. But RouteRegistration is optimized to minimize the battery usage.